Nampak, one of Africa's largest packaging companies is offering a trainee apprenticeship. The offer the most comprehensive product range, across multiple industries throughout Africa, manufacturing to the highest commercial and environmental standards in metal, glass, paper and plastic. This would be a great opportunity for those looking to gain experience from a large company with years of experience in the industry. Renualt is offering an apprenticeship opportunity in Gauteng. Applications clsoe 19 June 2013. South African Airways Technical is looking for young male and female South Africans, wholly representative of our countrys diverse population make up, to embark on their sponsored Apprentice / Learner Training Programme. Pioneer Foods is offering Apprenticeship Opportunities in Malmesbury and Worcester in the Western Cape. Applications closes 9 May 2013. Brandhouse is currently looking for apprentices within the electrical and mechanical field to apply for the positions as it is looking to employ the best candidates. There will be a list of assessments that the applicants will have to go through until the final decision is taken. The Tognum subsidiary MTU South Africa (PTY) Ltd, supplier of engines, complete propulsion and power systems in southern Africa recently announced its new intake for the next four year apprenticeship course. Across Germany, 113 young people are currently beginning courses of training at Tognum, the specialist for propulsion and power solutions. Most of the school-leavers are starting out on their new careers at the companys largest location in Friedrichshafen where 70 trainees have taken up apprenticeships and 19 students have embarked on university business studies or engineering degrees with integrated periods of practical training at Tognum. SA Express recruits and develops enthusiastic and high performing individuals that are passionate about what they do through their graduate recruitment skills programmes. Find out if you qualify for this unique opportunity. 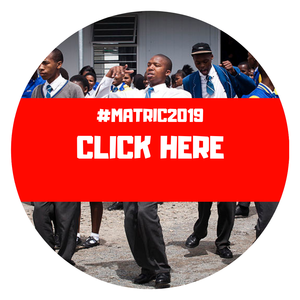 Steinmller Africa has approximately 108 apprentices in their two Steinmller Africa Technical Training Academies (SATTA) located in Pretoria-West and Bethal (Mpumalanga). 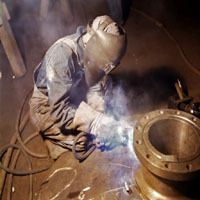 Now it is looking to take in additional groups of boilermaker and pipefitter apprentices in 2012 at both academies.